M&R was named among the “Top 10 Best Midsize Law Firms to Work For” by Vault, the respected rankings and review source for attorneys nationwide. 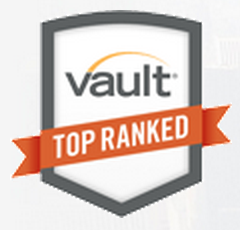 The rankings were derived from Vault’s Law Firm Associate Survey of over 17,000 associate participants. M&R scored particularly high in the Quality of Life categories, including Satisfaction and Firm Culture.